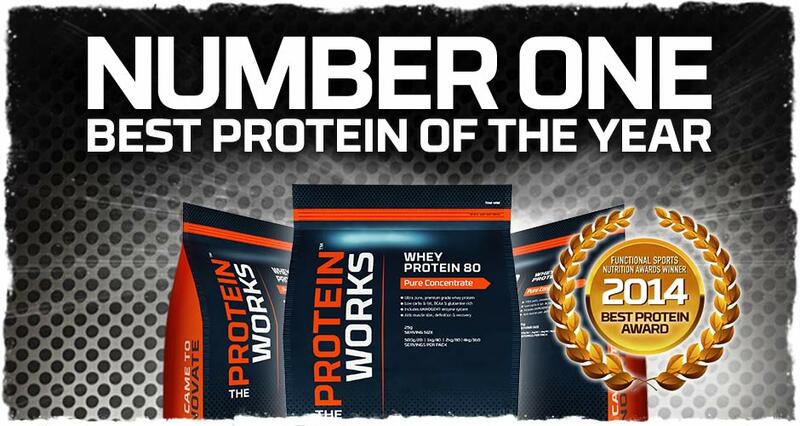 Here at TPW™ Towers, we're exceptionally proud of our best-selling protein, Whey Protein 80. We're all too aware there are brands out there today that make claims without substance and try to compare their products to ours. It's great to see a key voice in the sports nutrition industry today crowning our protein the "Best Protein Of The Year” in Functional Sports Nutrition Magazine’s highly coveted industry product awards. What makes this award so special is that it comes from probably the most widely read publication by sports nutrition experts and the wider industry. Up against the best in the industry, Whey Protein 80 beat all competition to take its place as the undisputed best protein powder in the UK.Whey Protein 80 take a bow! Whey Protein 80 from THE PROTEIN WORKS™ has an incredibly high biological value (BV), an amino-dense formula and an incredible level of purity. Our unparalleled levels of quality and manufacturing deliver the very best results and set it apart in the world of sports nutrition. A true sign of a whey protein's quality is in how easy it mixes and how little it froths. We're so confident in the premium quality and absolute purity of our Whey Protein 80, we urge you to test it for yourself! Simply add a scoop to some water and stir it with a spoon. No vigorous shaking. See how well it mixes and compare it to anything else on the market, even products with 2 or 3 times the price tag. Buy the best, and buy it direct, from the undisputed home of protein. UP TO 25% OFF NOW! We're celebrating in true TPW™ style by slashing UP TO 25% OFF Whey Protein 80 until midnight Friday 13th March 2015. Just pick your size and checkout with the relevant code below.